The NCCBTU is part of the Western Region of the national Coaliton of Black Trade Unionists. 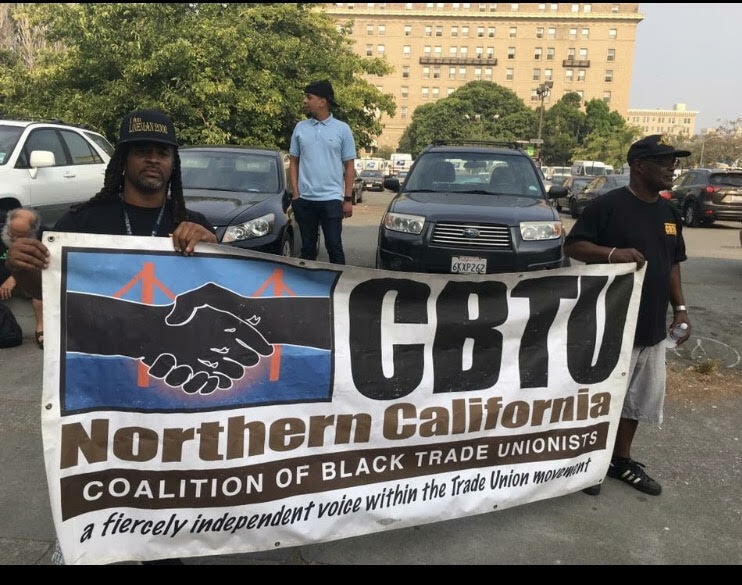 Click the link below to donate to the Northern California Coalition of Black Trade Unionists Scholarship Fund. Now in our 41st year, we are still following in the footsteps of our chapter founder, Geraldine M. Johnson: that is, we are serving as the independent voice of Black Labor. For these past couple of years in both the East Bay and San Francisco, we have worked to gain Local Hire. We have worked with the NAACP to bring quality education to our students. We worked together with the Baptist Church to help mobilize the seniors in the community to get out the vote. Our Community Action and Response Against Toxic (CARAT) Team trained the students of the Cypress Mandela Training Center in both Toxic Awareness and Cardiovascular Pulmonary Resuscitation (CPR) .